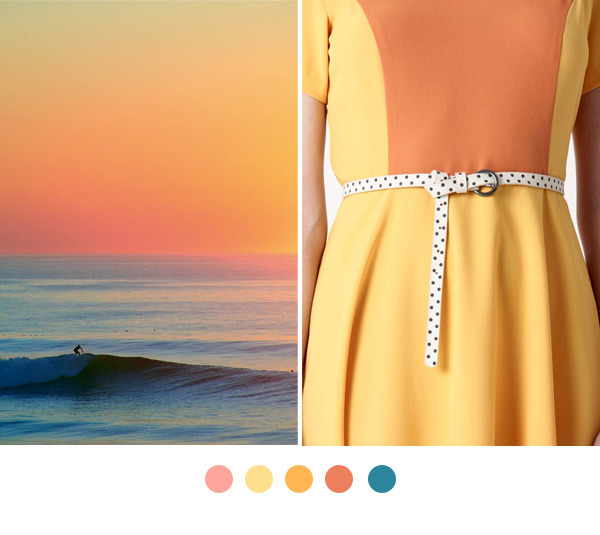 A second in my series, (see the first here) I am currently feeling inspired by sunsets and skinny belts. I am loving this balance of bright citrus hues with cool blues. It somehow strikes a balance between bright and energizing, while also feeling very calm and peaceful. Just what I need for a Monday!